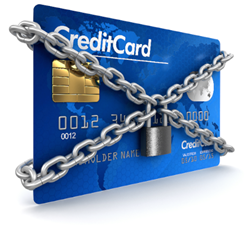 Simply meeting PCI compliance standards is no longer sufficient to protect customer data. The threat posed by data security breaches has never been more pervasive and serious. Between April and June of 2014, the retail sector led all industries in data breaches with 145 million records or 83% of the total records compromised.1 On an average, this has cost retailers $195 per record apprehended.2 As significant financial harm prevails and negative publicity affects consumer perception and loyalty, it is critical for retailers to defend themselves and their customers against potential security breaches. Boston Retail Partners (BRP) published a white paper today to address key payment data risks and offer best practices to protect customer payment data. The “Best Practices and Tools to Thwart Hackers and Protect Customer Payment Data” white paper is the insight of BRP executives with extensive experience in developing and deploying payment data security strategies for many well-known retailers. In addition to the white paper, Ken Morris, principal at Boston Retail Partners, will lead a workshop session titled “The Future of Payment and Data Security – Defending against Fraudsters” at the RetailConnections Retail Executive Omnichannel Outlook 2015 on October 16, 2014 in New York City. Retail Insights Blog at http://www.bostonretailpartners.com/blog.